Skye, Armadale Castle, interior. Detail of dining room fire-place. Gothic design surround with cast iron fireback depicting a lady with a mirror. Description Skye, Armadale Castle, interior. Detail of dining room fire-place. Gothic design surround with cast iron fireback depicting a lady with a mirror. >>>> Item Level (SC 974046) Skye, Armadale Castle, interior. Detail of dining room fire-place. 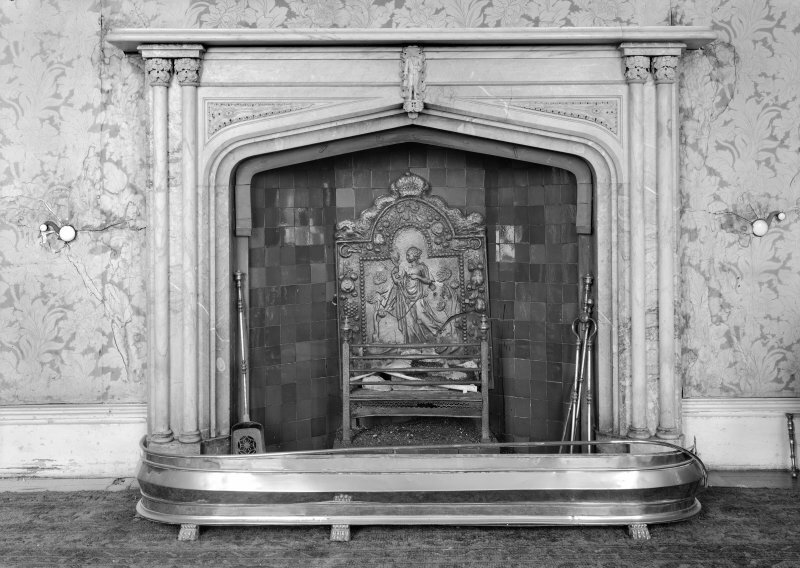 Gothic design surround with cast iron fireback depicting a lady with a mirror.